I have owned a TravelScoot since 2010. Here are two stories using my Travelscoot. Just in case you didn’t know the Travelscoot is the lightest mobility scooter, has a unique design and is practical in so many ways. It is known affectionately as The Trike. Everywhere I go The Trike goes with me. Without The Trike I would be a prisoner of the house. Just recently the lithium ion battery charger broke. The battery was on charge but a red light was continually flashing on the charger. This is a warning that the battery is not being charged. I found this out the hard way a couple of years ago. When I spoke to them they said “We are temporarily out of stock of chargers. We are expecting to receive a new delivery of them in a couple of days. As soon as we receive them we will send you one”. It is over a week later and I still have not received my replacement charger. In fairness this could be a problem with the postal system. I rummaged around in a chest of drawers and luckily I found a spare charger. Phew, now I was able to recharge my rather flat battery. I think the moral of the story is always to have a spare charger. Incidentally I have two batteries but both would be out of charge by now if I had not found the spare charger. I hope you will always keep a spare charger. My TravelScoot was taken by joyriders in June 2016 when I was at a Toastmasters meeting. It doesn’t go very fast so they got bored and threw my precious TravelScoot over a 2 m high hedge into some stinging nettles. A couple of days later it was found and returned to me. If you want to know the full story more then please click here. The TravelScoot has never been quite the same since then. A couple of days after it was returned I noticed some damage had been done it The steering colum had been slightly bent. There was nothing I could do about it, I cannot extend it now. The left foot pedal was badly damaged. The aluminium metal was stressed and fractured. As luck would have it I have bad foot drop in my left leg because of MS. This was done using a foot pedal taken from my original Travelscoot. One of the old belt driven models. I upgraded to the new model three years ago (funny how things happens in threes). Luckily I kept the old frame, The Wife was always pestering me to let her take it to the dump. It looks like a professional repair but only time will tell if it is any good. Most important The Trike keeps on rolling and long may it continue. The Travelscoot is a fantastic mobility scooter but make sure you have a backup charger. Hi, starting to look for a lightweight scooter for my father which needs to be light so my Mother can get it in and out of the car easily. It woud be used for very short journeys – from the carpark to the supermarket – that kind of thing. The travelscoot looks good but I wanted to ask about the controls. My father has had a stroke and has weakness on one side – does the user have to use foot pedals on both sides ? Also with the brakes, do you need to apply equal pressure on both sides ? Can anyone recomend a lightweight scooter for someone who can use both limbs but has a weakness on one side. Thanks in advance. 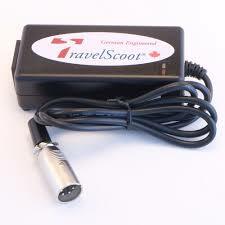 The throttle can easily be on either side of the handlebar, just talk to Travelscoot. You can get by just using by one brake. He needs to be able to lift one foot about 18″ off the ground. The big advantage is its weight, 17Kg and it can fold up and easily lifted into the boot of nearly any car. When folded it is the size of a golf bag. My mother-in-law, in Australia, purchased a scooter this year which has now broken down. We have taken it to electric bike specialists and they can’t help us. I have contacted the person she purchased it off -apparently an official TravelScoot dealer but they are not responding. I have also tried contacting pthe Australian rep on the TravelScoot website. Nobody seems to want to talk to me and I am desperate to get it repaired – the battery is fine but it just doesn’t work. Can you offer any advice as to where I might get it repaired? It might be worth contacting the New Zealand rep, I have heard good stories about him. Also know they have been having problems with the one in Australia. Is the problem with the battery or charger? Yes, there was problem with the former AU distributor but we have him disposed a year ago. The new AU rep is Daniel Feenstra hannah@travelscootnz.co.nz who also handles Newzealand since a couple of years. It is from Alice Tinning at alicetinning1@florey.edu.au. I have copied her into this email. The problem could be the battery or the charger. Hi Patrick. Just wondered if you’ve received a new charger? I notice they are out of stock on their website. Had not though about how stuck I’d be without a charger. They are expensive though! Have you tried taking it to your local car repair place, or Halfords? They would be very helpful and have the equipment and tools required. I have a travelscoot that I want to sell. can’t use because legs lazy. what to do? Judging by your email address you live in South Africa. You could try advertising it on bidorbuy.co.za or gumtree.co.za or ebay.co.za In the UK the Travelscoot does hold its value. There might be a suitable Facebook page, Beyond that I do not have much to offer. I have successfully sold ones through this website but 90% of the readership is basedin either UK USA and there is the problem of delivering it to a UK buyer. Good story and very useful information!